I was visiting with a friend the other day when he said: "I'm a traditionalist". This surprised me because, while I could imagine him saying he was a "conservative or faithful Catholic", I didn't really think that the "traditionalist" label would stick. This got me to to thinking about what it means, or should mean when a person shakes you hand and says: "Hi, I'm a Traditional Catholic". I realize that it isn't a perfect model, but work with me for now ... ok? Starting at the Artifacts level, we have the easy part: Regularly attend the Tridentine Mass. If someone doesn't embrace the Traditional Theology as expressed by / embodied in the Tridentine Mass, how can they be consider a "Traditional Catholic"? Attached this are all the pre-conciliar forms of the Roman Sacraments. I mean, who wouldn't want to have the added benefit of the exorcisms for baptism(link)? The same goes for the rest of the Sacraments (Penance, Holy Orders, etc). What is important to understand is that this is not simply a "preference", it is a realization that the pre-conciliar rites are superior in expressing the truths of the Catholic Faith. 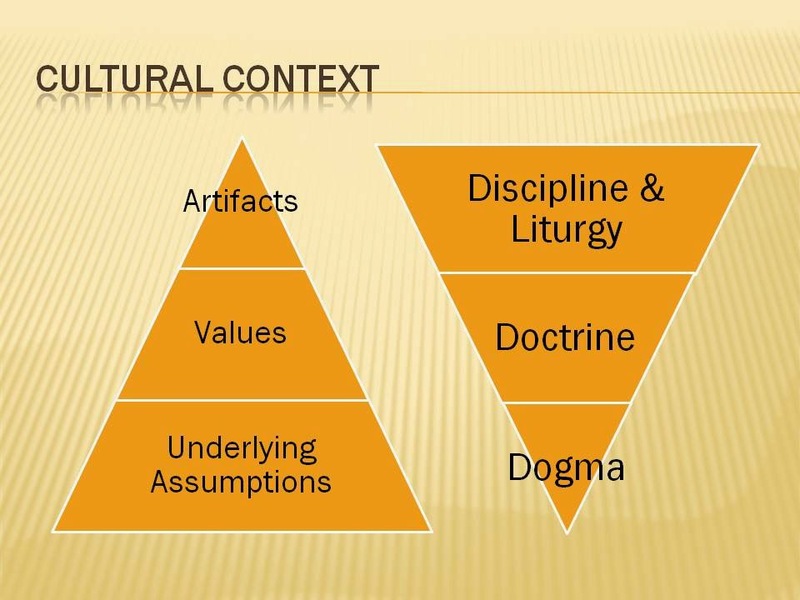 If a person doesn't value that as well as the attendant artifacts ... then from my perspective they aren't "Traditional Catholic". 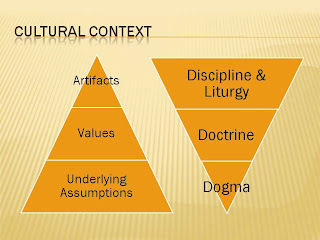 This leads us to values - the expressions of the Catholic Church in its Doctrines. A Traditional Catholic attempts to align their lives with the Doctrines of the Catholic Church. We all fail to some degree in this, but the key item is that we are trying. A person who goes to the Tridentine Mass because it is a fashion statement (something that I understand happens to some degree in Europe), but does not live their lives accordingly on the other six days of the week, is no better off than the pre-conciliar Sunday Catholics. Finally, we have the level of assumptions. Here we have core values that are hard (ie impossible) to change. Such as "Outside the Church there is no salvation" etc. Integrating these values so they are automatic and subconscious fuels one's Sensum Fidei (Sense of the Faith). If a person has discomfort with the Dogmas of the Catholic Faith, even after further study, then they really - at the core - aren't Traditional Catholic. In fact, they may even be are risk of no longer being Catholic. So what kind of Traditional Catholic are you trying to be?